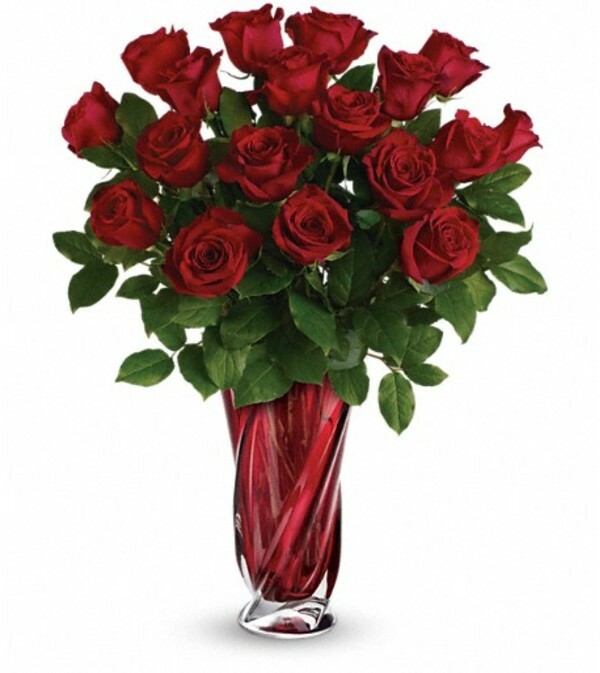 This Valentine's Day, surprise her with a gift as radiant as she is - long stem red roses, hand-delivered in a stunning, ruby red art glass vase. 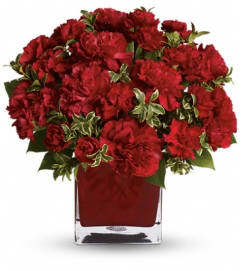 It's sure to take her breath away! 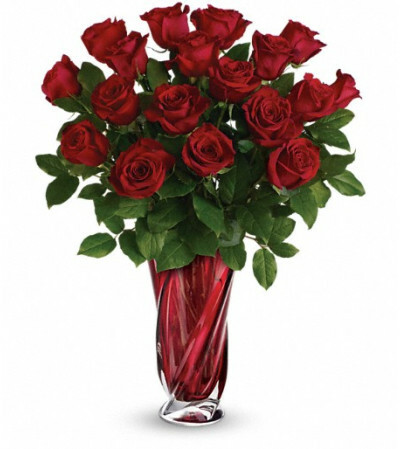 Long stem radiant red roses are beautifully arranged with lush lemon leaf. 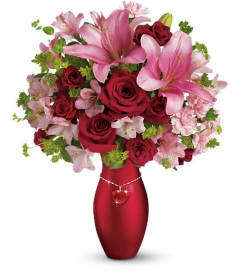 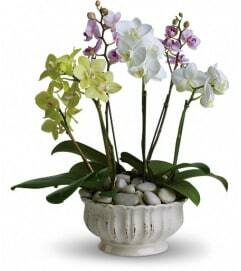 Delivered in a Swirling Beauty vase.